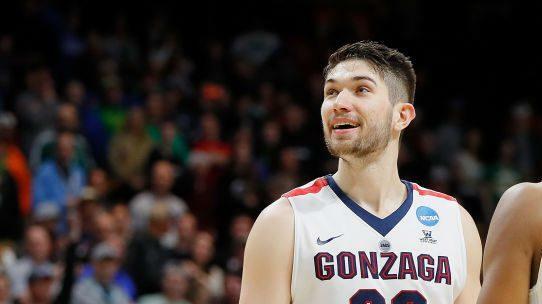 Gonzaga forward Killian Tillie is likely done for the season after suffering a torn ligament in his right foot on Thursday against San Francisco. “It breaks your heart,’ Zags coach Mark Few said of Tillie, who has played only nine games this year because of injuries. Gonzaga’s Killian Tillie has Partially torn plantar fascia, Mark Few told @Stadium. Few anticipates Tillie will miss rest of regular season, hopeful can return for postseason. The 6-foot-10 Frenchman missed the first two months of the season after surgery to repair a stress fracture in his right ankle. He was averaging 6.0 points and 4.2 rebounds for the Zags (23-2), who are the No. 4 overall seed at this point according to the NCAA Tournament Selection Committee. 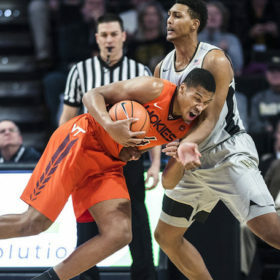 Gonzaga still has projected NBA Draft picks Rui Hachimura and Brandon Clarke in the frontcourt. Tillie’s injury likely means a bigger role for former Montverde (FL) Academy forward Filip Petrusev, who averaged 8.5 points, 3.6 rebounds and 14.9 minutes in the first 15 games.